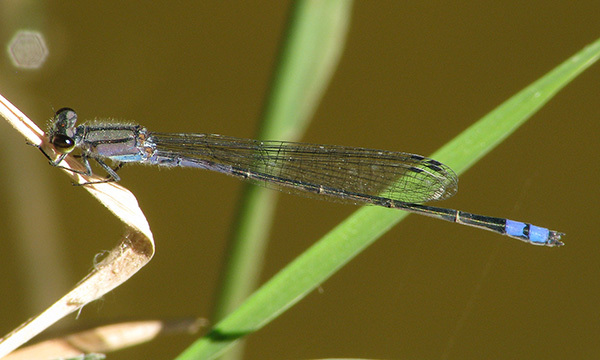 On 16 November 2010 Richard Bailowitz discovered two mature male Neotropical Bluets, Enallagma novaehispaniae, at an artificial pond in an agricultural area along the Painted Rock Dam in western Maricopa County, and collected one of these individuals. One male (presumably the same individual as seen 16 Nov.) was relocated the next day at the same spot and photographed. The Neotropical Bluet is found South of Arizona in Sonora, Mexico and in Texas, but had until now never been observed in Arizona.